As one of the snowiest, coldest winters in memory drags on, it’s hard not to slide into a haze thinking about the fun you had last summer, or what you’ve got planned once the temperature finally starts to climb in a few months. Whether you’re a fan of yard games, swimming, barbecues, or gardening, there isn’t much we enjoy about summer that can be done with 15 inches of snow on the ground. While it’s nearly impossible to not daydream of summer as winter chugs along, it doesn’t have to be time spent unproductively. Actually, harnessing your excitement for spring and summer ahead of time can make the seasons even more enjoyable once they finally arrive. If you spend January and February getting ready for May and June, you won’t have to play catch-up once it’s actually May and June. Instead of wringing your hands wishing time would fly by, put your warm-weather excitement to good use and focus on some summer-prep projects now, while you’ve got the time to spend on them. Every spring, The Foam Factory sees an up-tick in two warm-weather projects: boat mattresses and patio furniture cushions. While this is when these jobs are most popular, The Foam Factory is able to handle these jobs year round. This means if you’re looking to get a jump on the spring rush for summer-projects, now is the perfect time! While the mattresses we sleep on every night in our bedrooms have a standardized set of dimensions, boat mattresses are a totally different beast. A boat is like a puzzle, where designers try to max out every square inch of space with the amenities somebody would want at home on land. With little space to spare, sleeping berths often get placed in the least-usable spaces where there isn’t much room to stand or sit. This is typically in the bow of the boat, nestled against the hull. This means that not only are boat mattresses generally V-shaped at varying angles, the edges need to be tapered to follow the curvature of the hull. What’s more, they are often made in two or three sections for the sake of movability – getting a traditional mattress below deck isn’t realistic on most vessels. Despite these unique demands, The Foam Factory is more than equipped to handle even the most particular requests from a boat owner, with tapering, contouring, and V-berth mattress layering abilities. Still, each of these mattresses require precise measurements and skillful hand-cutting, resulting in a longer turnaround time than simpler, standard products. You could walk into The Foam Factory’s store and leave minutes later with a new mattress for your home; that’s just not possible with a boat mattress. A proactive approach to mattress replacement for your boat does two things. Having your mattress ready for the season ahead of time takes one BIG item off your to-do list, and, you guarantee that you’ll have great comfort on the very first night without having to wait for 10 other beds to be completed before The Foam Factory is able to get to yours. Another way to focus your summertime thoughts into something productive is working on new patio cushions. Like boat mattresses, these are also unique when compared to the versions of cushioning we keep on our homes. Seeing how waterlogged and mildewy cushions are the biggest reason they get replaced, it takes a special kind of material to stand up to use as a patio cushion. 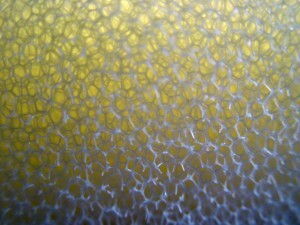 That special kind of foam is Dryfast foam, a uniquely-engineered foam with large, reticulated pores that allow water to pass through the cushion, rather than being held like traditional sponge rubbers. 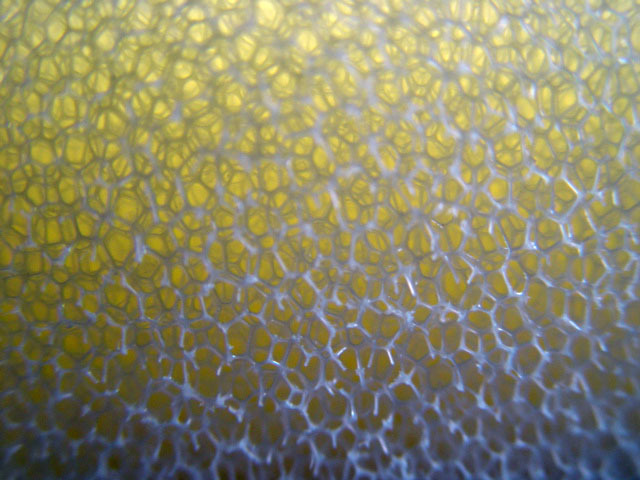 The size of those foam cells also encourage the flow of air, which assists in the drying process. What’s more, Dryfast is formulated with antimicrobial additives, so in a situation where a cushion isn’t given a chance to dry on its own – a damp towel from the pool left on the seat for instance – the cushion won’t begin to mold and mildew. 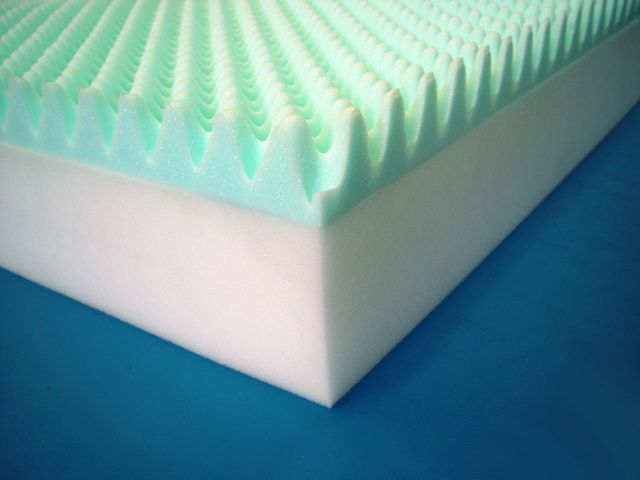 The Foam Factory is proud to carry Dryfast foam in their cushion line, and is happy to custom-cut Dryfast cushions, just as they would conventional foam used for indoor seats. Raw sheets of Dryfast are also available, should you choose to take on your own DIY upholstery project. When it isn’t at the expense of something else, a little preparation never hurt anyone, and in the midst of winter’s dreariest days, there’s no better time to distract yourself with some summer projects. Not only will you be ready to jump right in to fun, the time spent on the projects will be a welcome and productive distraction!